During the 1980s, the Twin Cities were a mecca for comedy. With a club on every corner, and new and local comics making good every week. Today, that comedy circuit is still thriving. Nobody will argue the importance of Acme to the national comedy scene, which Minneapolis is home to. And there are plenty of other places where you can see the best regional and national comedians in the business. 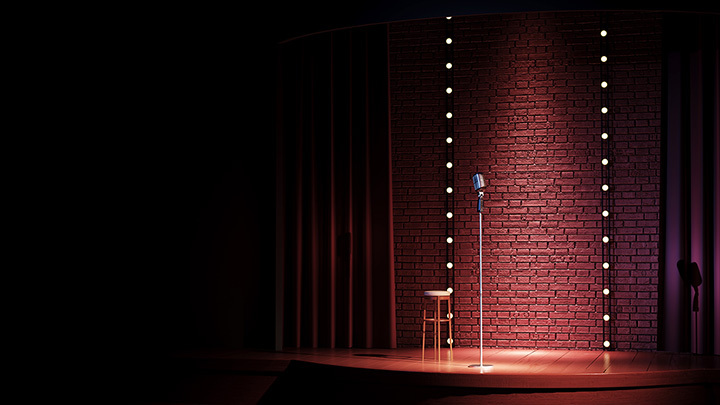 Here are 10 of the best comedy clubs in the state! For a quarter century, Acme Comedy Company has been the premier comedy venue in Minnesota. This venerable institution is well known on the national comedy circuit and is a mandatory stop on any stand-up comic’s road to success. Local, regional, and national acts pepper Acme’s calendar week-in and week-out. The Joke Joint is St. Paul’s only full-time comedy club. The 200-seat venue attracts local and regional talent, as well as comedy fans from across the state. Wednesdays are open mic and free admission if you want to try your hand at stand-up comedy—or laugh at, er… with, those who are giving it a shot. Located in the basement of the Corner Bar in Minneapolis’ Seven Corners neighborhood, Comedy Corner Underground hosts one of, if not the most, popular open mic nights in the state. Founded a decade ago by comedians looking for an open mic venue, Comedy Corner Underground is still run by comics and regularly packs the 65-seat room with folks who come to laugh or shift in awkward silence. In business since 1958, the Brave New Workshop’s company has been performing satire longer than any other theater in the country. The theater offers up sketches and improvisation, usually social or political satire, that keep audiences rolling in the aisles and coming back for more. One of the Twin Cities’ newest comedy venues, the Royal Comedy Theatre in Hopkins is an up-and-comer on the scene. The cozy room attracts local and regional standouts, offering up a pleasant alternative for comedy lovers in the West Metro. A regular feature at the Chanhassen Dinner Theaters, Stevie Ray’s Comedy Cabaret is an improv company that takes its cues from the audience. The regular show features an ever-changing line up of sketches, songs, and special guests. The Dubh Linn has stepped up to fill the stand-up comedy vacuum in Duluth. Although it’s a bit different from having a dedicated venue, the pub’s regularly-scheduled comedy nights prevent Arrowhead residents from having to travel too far afield to get a laughter fix. The HUGE company, as you may have guessed, does improv. With several shows throughout the week, audiences never really know what they’re going to get when attend a HUGE performance. And that, of course, is part of the fun. The theater also offers classes for folks who are interested in learning the art of improvisation. What Duluth lacks in stand-up comedy, it makes up for with a regular improv company. The Renegade Theater Company puts on shows every weekend at the Teatro Zuccone, in which two teams face off, competing for points and laughter. View more Minnesota Comedy Clubs.